Winter activities call for winter clothing. And with that in mind, we’ve taken the liberty of pairing various winter activities throughout the city with various articles of winter clothing. Sometimes it all just works out like this. The tuning of violins. The rumble of timpani. The Merle Haggard performing with the Atlanta Symphony Orchestra for some reason. 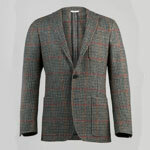 Looks like you’ll be needing a classic houndstooth jacket in order to do that right. BYO spurs... is something we shouldn’t have just said. 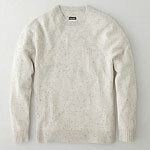 Here you have a white sweater from Steven Alan with little multicolored dots of color on it. Say what you will about those, but they happen to be perfect for walking around sipping a bunch of beers all afternoon. At least it will be once you invent that scenario. Function is key here. 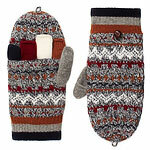 And these Fair Isle convertible mittens will save your hands from the unforgiving bite of ice-cold oysters while still allowing you full use of your fingers. You have good problems. Beer, bourbon and BBQ. Yep, once again, those are all things that will be in and around your face come February. 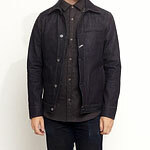 And for protection against those elements, this indigo Japanese selvage denim jacket should do. If not, we have a sneaking suspicion you’ll still come out okay. So you’re heading to Savannah for the most holy of alcohol-and-leprechaun-related holidays. 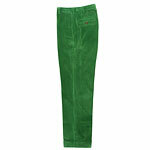 The good news is that you’ll be wearing these green corduroy pants that Sid Mashburn made you. The bad news is that you’re going to destroy them.